Savage is Anteater Racing’s 2015 FSAE internal combustion (IC) vehicle. 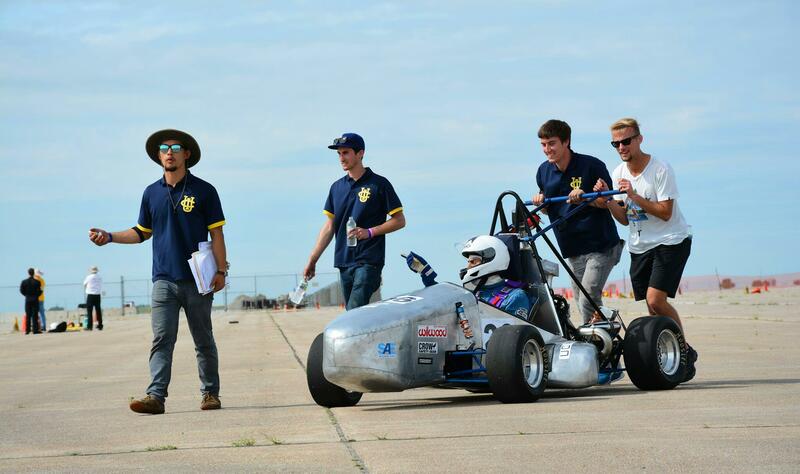 The Savage team made it to competition in Lincoln, NE for the FSAE West competition in 2016 but was barred from competition due to a suspension issue. That’s not to say that Savage wasn’t a good car, though. With a 0-60mph time of 3.4 seconds, it’s our speediest IC car yet. Savage 2015 is being used as the basis for design of our upcoming 2016 IC car, which will bear the same moniker.